Expressed Caravan Parts and Trailer Parts to Brisbane, Melbourne, Sydney & Nationwide. Couplemate Trailer Parts is an Australian owned and operated business focused on delivering the very best in quality parts, service and assistance when it comes to all things trailers or caravan! 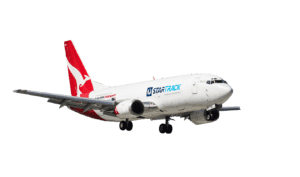 Australia Post/Qantas is our Express Carrier because they provide the fastest and best service for the price. The Sydney Morning Herald report Australia Post is Qantas single biggest client and it is not hard to guess why. If you’re looking for expressed caravan parts or trailer axles, caravan axle kits, truck or pintle towing parts. Couplemate has your needs covered! Parts under 3kg Express Overnight to Melbourne, Sydney, Canberra, Perth, Darwin Metro Areas. Servicing your Caravan in Melbourne, Sydney, Brisbane and across Australia. Couplemate prides itself on providing expert service advice as well as the best quality caravan axles and trailer kits. So if you’re looking for anything trailer or caravan related including full kits, axles or parts, you can’t beat Couplemate Trailer Expressed Caravan Parts for expertise and superior products. Expert Axle Assembly and Trailer Kits Australia wide. Find the best trailer parts online at Couplemate Trailer Parts and save on your trailer kits and axles. You don’t need to pay huge amounts of money for quality Australian made caravan axle kits – Couplemate prides itself on express delivering affordable and genuine trailer parts Australia wide. DIY sure saves $$$ but can be expensive is you don’t know all the tricks of the trade. The professionals at Couplemate assemble and test every axle before it leaves the workshop. We install Japanese bearings on every axle so we are sure you are getting the best axle money can buy. If you’re looking for quality camper kits, axles or parts anywhere in Sydney, Melbourne, Brisbane or beyond, Couplemate Trailer Parts have the products for you. Let our professional sales technicians help you out with your trailer parts needs with tailored expressed caravan parts services to meet your requirements. Couplemate products are built for life, and we guarantee our products because we know they are well-engineered and well-built. We do not build disposable products, and we back our guarantees. Couplemate rigorously all tests its products for the Australian markets. Yes, we want you talking about our company around the campfire, on the river bank and in the pub. These are the places where all the experts gather and solve most of the traveller’s problems. Drop us a comment or ask us and we’ll see if we can provide you with some expert knowledge. For more information or to view our trailer parts product range, visit our online store today.